I’ve always been a little hesitant about using my microwave to cook food. I mean, heating things up is one thing but cooking something from scratch in that slightly scary buzzing box of I-don’t-know-what-goes-on-in-there just seems a bit off putting. It might have been my traumatising memories of accidental burnt spoons from back in my kiddy years (or even adult years every so often…I know, I’m a klutz) or the fact that the light in my microwave died a few years back and now it’s even harder to determine exactly what goes on in there…and if you haven’t ever accidentally put metal objects in your microwave, I would suggest to never attempt it. It’s S.C.A.R.Y. Okay, so I’ve made myself out to be a wimp who’s scared of my microwave but I actually attempted my first cook from scratch cake in there a few weeks ago! That’s right, I walked out of that scaredy-hole of mine and did something about it, urged on by the many 2 minute mug cake recipes I’ve been gawking at online and having all the right ingredients in the pantry. The recipe that I used here came from Mel’s Kitchen Cafe which I accidentally found while I was researching recipes for the huge jar of Nutella I had. It seemed like a good idea, and it was! The recipe was surprisingly very flexible and accommodating. I didn’t really measure any of the ingredients out and being the microwave baking novice that I am, the super fast and exciting rising of the cake made me panic and I actually opened the microwave in an attempt to slow it down. Go figure. In actual fact, I also overfilled my ramekins (I used ramekins instead of mugs) so opening the door stopped it from overflowing and making an unsightly mess (in Yuye’s microwave, mine doesn’t have a light to even see that it’s overflowing). Anyway, I can say that the recipe was a success, if you really like chocolatey desserts. I had made 2 ramekins of cake but was left with way too much batter and we didn’t even finish the cakes anyway as it was super rich (but delicious of course). Feel free to use mugs, or anything that’s microwaveable really. 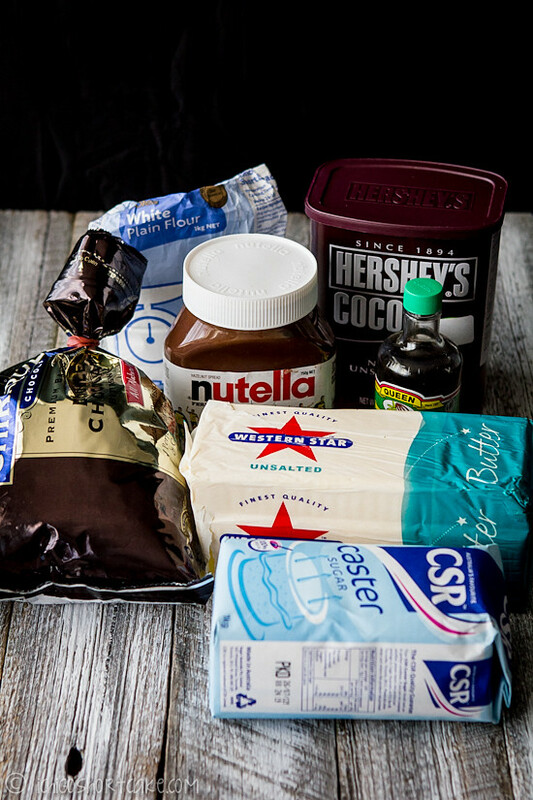 You can also sub the Nutella for peanut butter or leave it out altogether, or put in other ingredients you see fit. 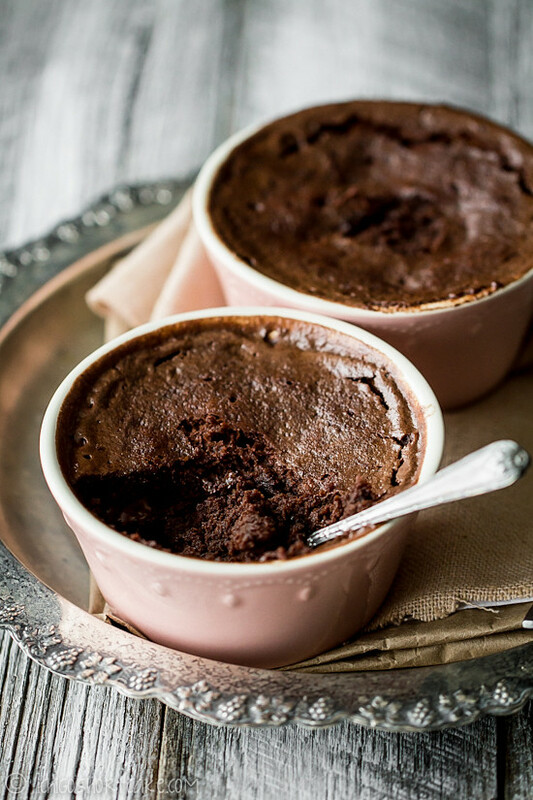 If you don’t like super rich chocolate desserts, you might want to decrease the amount of ingredients you use and fill less in each ramekin or mug. I also found that the chocolate chips weren’t really necessary and if you eat the cake when it’s cold, the chips become all solid again. The texture of the cake is similar to a self saucing pudding, except without the sauce. I think it’s best consumed warm and fresh out of the microwave, but I did eat it when it was cold and although it turned hard, it was still very chocolatey and yummy. In fact, when it was cold, it was similar to a chocolate brownie except slightly more dense. I even ate the cake batter just like that. The options are limitless. 😉 For extra indulgence (and to cut the richness), add a scoop of ice cream on top. 1. Place all the ingredients in a medium to large whisking bowl and whisk on medium until all mixed through. You can also attempt this using a spoon and your hands, but it’s a lot harder to do this way. 2. Fill 4 ramekins or mugs with batter (to about less than half full). 3. Microwave on high for roughly 2 minutes each or until puffy, keeping a close eye on them as different microwaves have varying strengths. 4. Serve immediately with a scoop of ice cream or cream on top. Question time: Have you ever used your microwave to bake cakes? How did the turn out and how would you compare them to oven baked cakes? OMG! I made mug cakes last night! They didn’t turn out too well though. Just very heavy and not moist enough. I had to keep drinking water. Yours look great. I reckon where I went wrong was I didn’t have enough oil and there was no egg in the recipe. I too used ramekins instead of mugs! such a fantastic looking cake! i can’t believe it was done in the microwave! Yes, I couldn’t believe it either before I tried it out. Surprisingly very easy and and actually works! PERFECT! 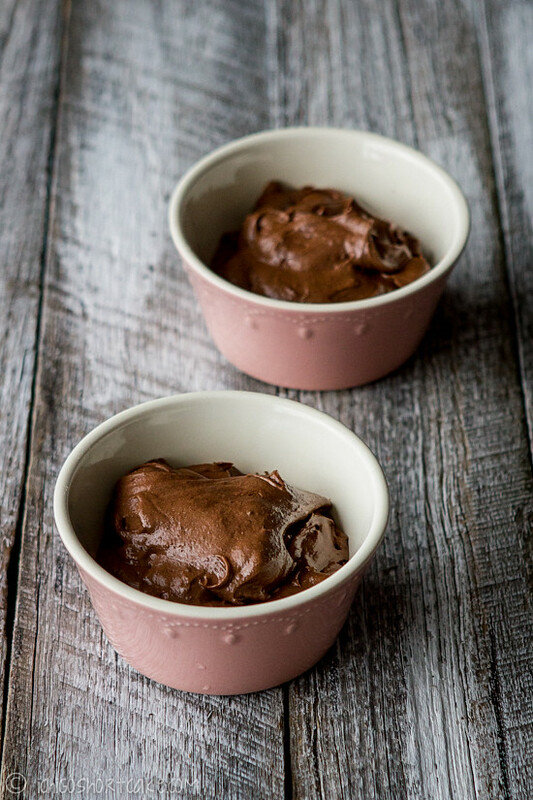 I have a HUGE jar of Nutella in my pantry too 🙂 And I finally succeeded at making a 5 minute chocolate mug cake the other day ~ so i think the addition of Nutella is just right for me hehe and I’m sure it wont be too sweet or rich for me yum! Two minutes? That’s wonderful! And the results look just awesome. Microwaves are great for melting chocolate. And really good with anything that is naturally moist. The way they work is the radio waves excite the water molecules in food, so they basically move around – they rub back and forth against their fellow water molecules, creating friction, which creates heat, which cooks the food. (That’s not the whole story, but it’s all I really need to know.) So it’s a really good way to cook fish, for example (not that you would because you don’t eat much cooked fish!). Anyway, good post – thanks. Yum! An even faster way to enjoy a Nutella dessert! Love this! How great would it be to bake a cake in the microwave for each of the ponytails after school? Hmmmm, you’ve got me thinking! I love how easy this is!! I’ve never cooked things in the microwave before (besides popcorn) but this looks like something I could pull off tonight ;). Great work! can you send us the pic next time you make? This seems dangerous in the most delicious kind of way. I bet this would be awesome with homemade Nutella too! 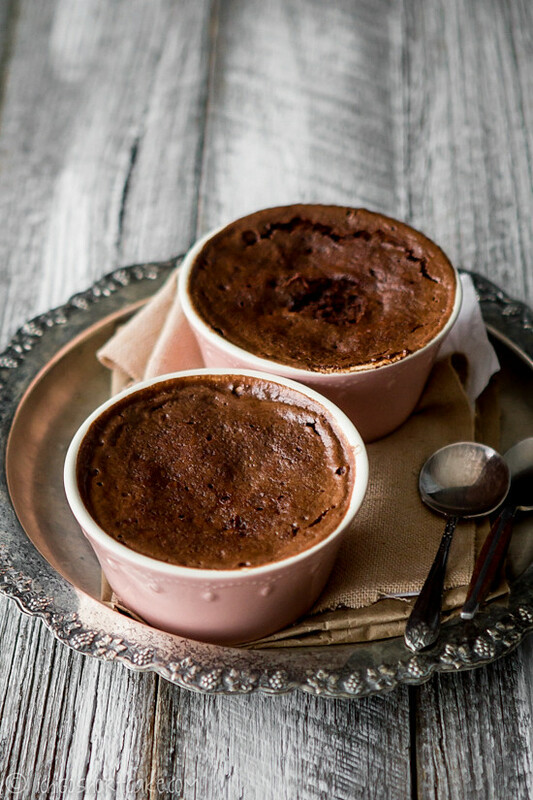 i definitely don’t mind super rich chocolate recipes.. this is right up my alley! The problem is, I really want to make this (well, a flour free version) but that means I will make it and then eat the WHOLE tub of Nutella. Of course I would buy the buggest tub possible hehe. Lovely photos and I really adore those pink ramekins. I have the boring white ones haha. Can you use regular sugar for this? I don’t even know what caster sugar is. I have made lots of cakes in the microwave. I used to teach microwave cooking. In, say, a bundt cake, you would use one less egg. Microwave, covered with plastic wrap for around 10 min, depending on the watts in your oven. Watch it. When it starts to pull away from the edges, take it out and let it stand on the counter for 10 min. The cake comes out moist and light. just made with a little bit of peanut butter and peanut butter chips as well as nutella 🙂 very good! My mom did box cake in the microwave a lot when I was growing up. It was a microwavable bundt cake container. Can’t remember how much time it took–I think 9 minutes thinking back and it had a lid. The dish she used was also the microwave popcorn popper. Seemed to always turn out great! However, I did not have caster sugar so I used powdered sugar, and did not have cocoa powder so I used jello chocolate pudding mix! Everything turned out great my cake is delicious and I can’t wait to show mother! Do you think I can skip the cocoa powder in it if I don’t have any? I haven’t tried it without cocoa powder, but I’m sure it’ll be fine, it just won’t be very strong in chocolate flavour that’s all. Zingarella, Nutella Scrolls (personally I don’t like their pasta). Thank you so much for this recipe! The first ‘cake in a mug’ recipe that *accidentially* worked! I put my cup in the microwave for only 50 seconds, on high. It turned out beautifully, sticky and very most! do you have to eat it immediately? Can it be saved? The cake will harden significantly when it cools down and tastes a bit like chocolate brownies rather than the moist cake when it’s still warm. With that said there’s nothing wrong with brownies so you can leave it, but be prepared that it won’t taste the same. Hope this helps! Im 12 and i wanted to be a little creative, i tried this and its amazing! thanks so much for sharing! I made this just now and it is great! So fun to make. I put the Nutella into the melted butter so it would combine easier. Didn’t have cocoa powder and it was just fine without it. Next time I will microwave it for about 1:55 so it is a little more moist…. Bottom line, great recipe! Thanks. It’s fine if you don’t put in the cocoa powder, it just won’t be as chocolatey but should still taste great! So basically I didn’t read the instructions properly, so I filled the mixture into only 1 cup! I’m still cleaning up from the explosion in my microwave two hours later! Oh no! Hope this doesn’t deter you from making this recipe again..
Hmmmmmm. They look good in the picture but I’m not sure they will end up that good for me. I’m going to make them in a while I can’t wait. Any advices?